The campaign to encourage the use of cook stoves for cooking faces many challenges, funds and quality being the two main problems. This was observed by Anurag Bhatnagar, head of Grassroots Trading Network for Women promoted by Self Employed Women’s Association (SEWA). Speaking at the Anil Agarwal Dialogue (AAD)-2015, an annual event of the Delhi-based non-profit Centre for Science and Environment, Bhatnagar said that manufacturers of cook stoves, which are mainly used by households in rural India, claim a host of benefits of the product, but the results do not meet the promises. Even warranty does not help as dealers rarely turn up in remote areas when the product does not work properly. 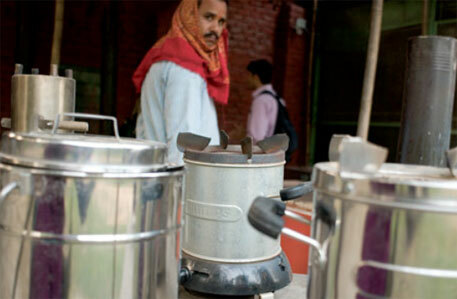 In the past one-and-a-half years, SEWA has distributed 6,000 cook stoves to the poor in Gujarat, Bhatnagar claims. “Government policy is not very supportive of the cause of clean cook stoves. There should tax holiday for manufacturers and distributors,” he said. There is a similar problem at the global level, too. According to Ravikant Kandikonda, chief financial officer at Prakti, a cook stove manufacturer working in Haiti, Nepal and India, quality of cook stoves and their affordability are quite challenging. Appreciating India’s subsidy policy on cook stoves, he said that innovation will come only after government support, which will help in making affordable and quality products. “At the same time, there is a need to raise awareness about the health impacts of traditional methods of cooking and the benefits of cook stoves,” he added. Donee Alexander, programme manager, Global Alliance for Clean Cook Stoves, noted that reaching to the poorest of the poor is the biggest challenge.